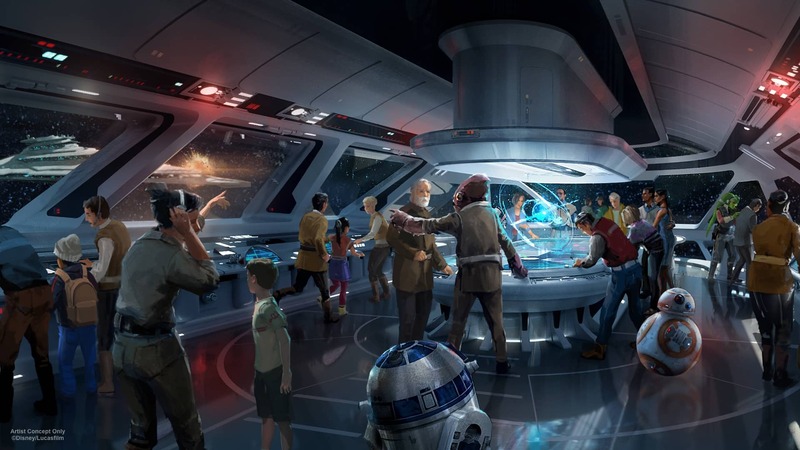 Bob Chapek, Chairman of Walt Disney Parks & Resorts, just confirmed that a Star Wars-inspired resort has been planned for the Walt Disney World Resort. Keep your eye on the Disney Parks Blog in the coming months for updates on this resort, as well as future opening date timing. Ok as a Big Star Wars and Disney fan… This is what I’m hoping for. Me too If you take early reservations, when ever your hotel will be finished I love to plan the trip! Will this be a Dvc site? My whole family is so excited by this! The force n is strong! When is this hotel planned to open in 2019? I want to start planning a trip! I am a 20+ year luxury hospitality vet and I’d kill to run this resort… how do I make this happen? Is there an estimated opening date yet? We love the idea and want to start making long range plans. I love star wars so much. Going their for my daughter’s 15th birthday. We already have our costumes planned Han Solo, Darth Vader and Princess Leia. Looks expensive but also a great experience good thing we have a full day just to explore the hotel. Hope no we don’t run into Any star wars villains. I’m pretty excited about this whole concept. As a member of the 501st Legion, I would be in hog heaven. 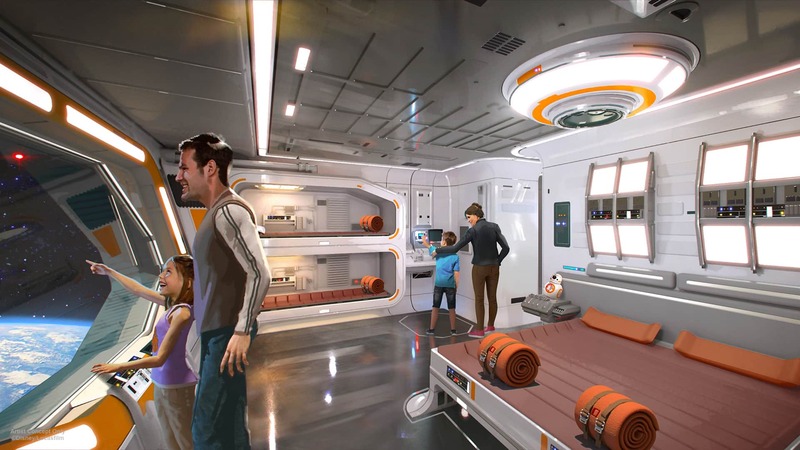 Very excited about the new Star Wars Hotel. I have been coming to WDW since 1972, when I first joined the Navy and was at Boot camp, anyway…excited about the new hotel. I sure hope they reduce the price on this. Will AP holders get a discount on this as well? Of course we will, i know, stupid question! I know I’m excited about this and I really want to experience this, but it’s way too expensive. Please rethink the price. Is this hotel intended for Walt Disney World only, or will Disneyland in Anaheim get one, too? I may be thinking to far ahead but does anyone know when we might be able to make reservations for the Star Wars Hotel? 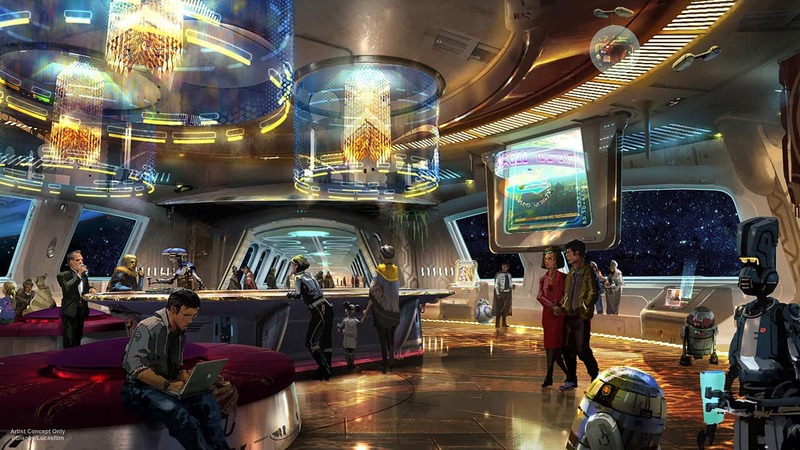 I’m thrilled to see a Star Wars resort coming and love the concept, except I sincerely hope the costumes are optional, or are only for activities that you sign up for. I want to be comfortable on my vacation, immersive or not, not have to wear mass produced, generic sized costumes! I can’t imagine many people would be thrilled with that idea. Isn’t this how Westworld starts? “Future World” is already in use at Epcot. Will Ed Catmull’s “Computer Animated Hand” be added to the “lost limb” motif prevalent in Star Wars? 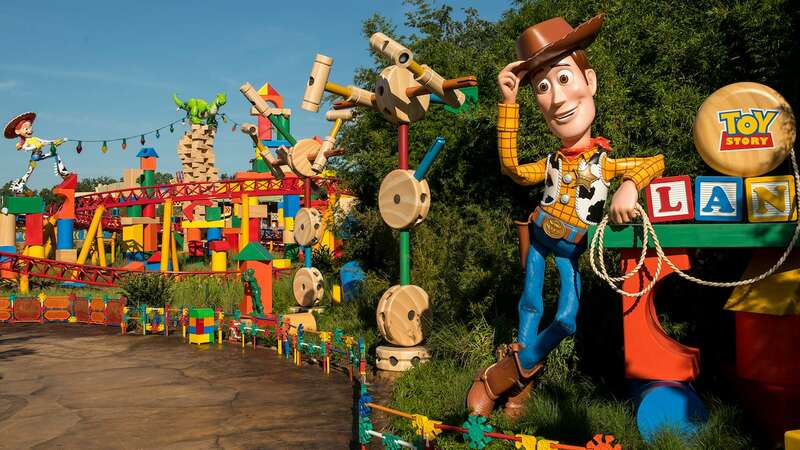 IT SOUND VERY COOL BUT DISNEY IS GETTING TO EXPENXIVE TO STAY ON PROPERTY AS IT IS SO THAT LEVES ME OUT BUT WOULD LIKE TO VISIT IT LOOKING FORWARD TO IT OPENING . Who is the architect/interior designer? Hope they build it big enough with all of the interest. I want to visit asap. This will finally get my mom, who will be over 75 by then, to come to Disney World. She’s the one who turned me into a sci-fi and Star Wars fan, and between this and the expansion in Galaxy’s Edge, she’ll finally come to the Disney-side like her daughter and grandkids. This looks so awesome, I’ve stayed in the pirate rooms at Caribbean Beach, but this is even better! Jennifer, where would be the best place to stay tuned; are their plans to do a mass mailer for availability, and how can I get on that list? I can’t wait to check in and stay up the whole night, who could sleep with all that going on! Just can’t wait! Super excited to go! Please share with use all the wonderful details. Does that mean at the level of Grand Floridian or more modest Coronado resort? This may give my 22 year old a reason to keep coming to WDW with (heaven forbid) his parents! I’m a big Star Wars fan, but this idea seems a bit “over the top” to me. Theming is one thing, but having costumes to wear as well? I would be happier if Disney would work on preserving some of the classic themed hotels they currently have. For instance, the Grand Floridian (the flagship resort of Walt Disney World) is themed as Victorian style hotel, but the latest updates to the rooms there have ruined that “Victorian feel” to them. Now they are no different from hundreds of other hotel rooms. And the replacement of the traditional flower displays in the lobby with this new, ultra-modern feel is disappointing. So what’s the wedding package going to look like for this resort and what does the POOL look like for this place?! No details on those topics yet! Did they announce if this resort will be a DVC stie? I’m really excited for this. You need The Stupendous Wave – all things Star Wars. This is so amazing Star Wars has been a part of our family now for four generations. This will be a truly magical way to introduce the fifth. Honestly, I have been anticipating this announcement since the first utterance of the theme park. Take me home!!!! I’m not even a Star Wars fan but this looks amazing, and I want to stay a night in this hotel! First, take my money. Second, when? If there was ever a grand opening I wanted to be there for, this is it! We’re a family of 6 and we’re all super thrilled about this! I’m happy your family is excited! Stay tuned for more details. Now my two adult sons are feeling the force is strong with this brilliant themed Walt Disney World Resort! We can’t wait to make this Star Wars Story part of our Disney story adventure book! We can’t wait for your all to visit, Ellen! Did they announce where on property this will be built?